What if people, their handling equipment and the infrastructure could communicate with each other? 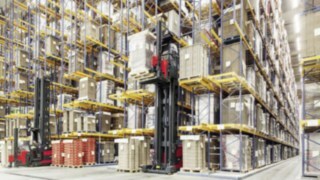 Material handling operations like loading and unloading trucks can encounter potentially hazardous situations. 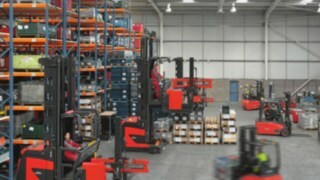 Industrial trucks and personnel working together in close proximity can be challenging and difficult to control. In the worst-case scenarios this can lead to injury or property damages. 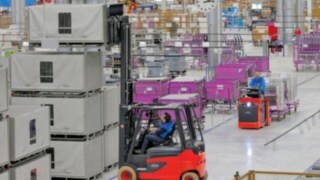 Every aspect of any material handling application demands constant vigilance by all personnel involved: blind corners, low visibility areas and distracting noises are all ever-present safety risks in intralogistics and manufacturing working environments. 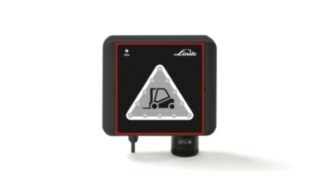 The Linde Safety Guard is an innovative assistance system that enhances safety for truck operators and pedestrian personnel in areas where trucks are in use. Active advance warning mechanisms in the event of potential hazards, means that everyone involved can react immediately. 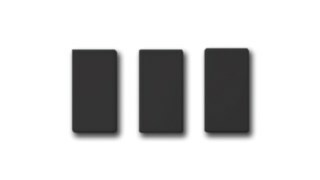 Depending on the application and the selected detection modules, the Safety Guard system warns either by sound emissions, flashing LED lights or vibrations. Hazards can then be neutralised before any physical injury or collateral damage occurs. 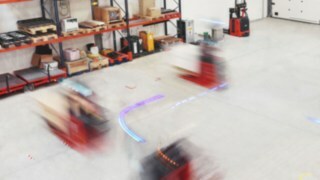 This unique safety system was developed by the start-up Comnovo, which was acquired by Linde Material Handling in July 2017. 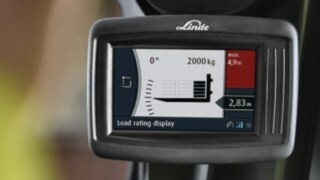 The system has been incorporated into Linde Material Handling’s industrial trucks since early 2016. Since then, the system has proven itself across a wide variety of industries. 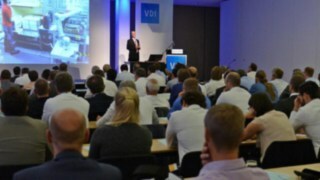 Be it excessive speeds, personnel crossing a truck’s path or low visibility: There are a multitude of reasons why accidents can occur while working with industrial trucks. 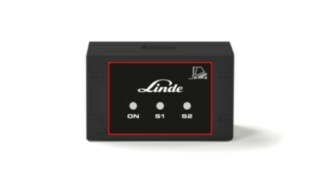 The Linde Safety Guard’s system can be configured to monitor specific risks. At corners, junctions or hall entrances, industrial trucks can pose a risk to pedestrians. 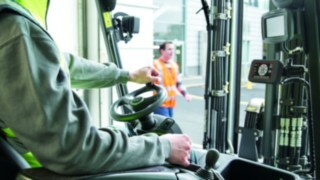 The Linde Safety Guard system provides advance warnings to both the operator and pedestrians. The warning signal can be transmitted through walls and racking and is accurate to within 10 centimetres. Warnings are only triggered when there is a clear danger, thus avoiding false alarms. Accidents can occur if industrial trucks travel too fast through areas where pedestrian personnel are working or walking. Long, straight stretches can also tempt truck operators to exceed a safe travel speed. 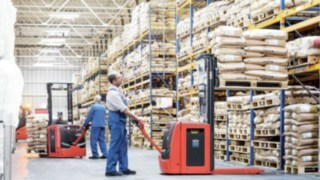 The Linde Safety Guard automatically reduces travel speed in these critical areas. Collisions between trucks can occur at crossing points where visibility is poor or restricted. 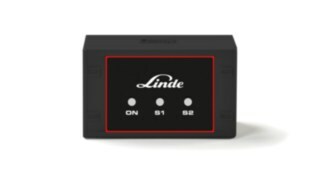 In these circumstances the Linde Safety Guard system warns all the truck operators in these zones, of the other trucks’ presence in their immediate vicinity. The Truck Unit displays from which direction trucks are approaching. The minimum distance between trucks before a warning is triggered is adjustable. 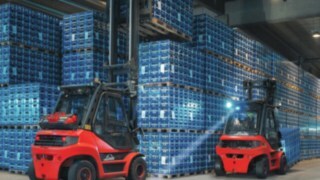 The Linde Safety Guard system increases the safety of all personnel involved in internal traffic. It can see around corners and through walls, reduces speeds automatically and can be programmed to suit any hazardous scenario. 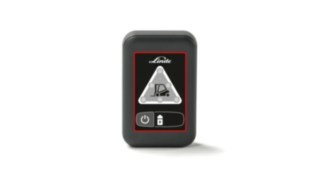 The Linde Safety Guard uses warning zones to prevent accidents. Transmitters are positioned on industrial trucks, walls, racking and even carried by the personnel themselves. This ensures rapid detection, early warning and avoidance of hazardous situations. If a pedestrian and a truck look likely to collide, then both the industrial truck and the pedestrian are warned simultaneously. A receiver in the truck indicates how many pedestrian personnel are approaching the danger zone and from which direction. Pedestrians are warned by the transmitter they have on their person. This also works through walls and racking. areas, and busy intersections for example. 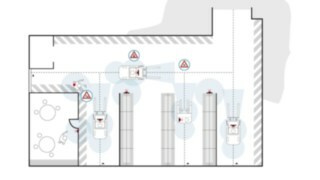 All this is only possible because the Linde Safety Guard system is able to precisely determine the position of marked objects or personnel within ten centimetres and the warning zones are individually adjustable.This level of precision also helps to prevent false alarms. Moreover, a broadband radio signal in the 4 GHz range (UWB) helps to ensure reliability by eliminating interference from Wi-Fi, Bluetooth or RFID. The system can be adapted to meet any security requirements. It consists of individual modules and can be tailored to the respective risk situation on individual sites. *Valid for typical infrastructure in intralogistics. Checked during consultancy. The Truck Unit warns the industrial truck operator via LED lights and acoustic signals. 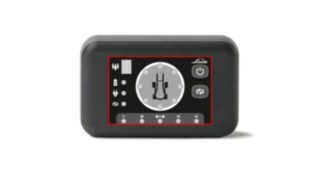 The Portable Unit warns personnel of approaching industrial trucks using acoustic signals, LED lights and vibration. 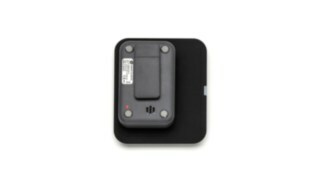 Detect the modules carried by pedestrians and industrial trucks in the defined potentially hazardous zones. 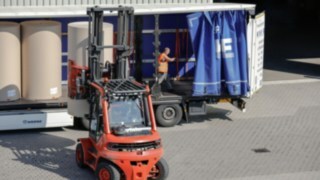 The Truck Unit small is attached to the forklift and communicates with stationary modules such as the Static Unit or the Zone Marker. The Static Unit marks hazardous zones in critical areas such as access doors or low visibility intersections.This module warns the environment via acoustic signals and LED lights. The Zone Marker defines speed-restriction areas. The Charger charges the Portable Unit inductively. The fully automatic activation ensures optimum ease of operation.